INTERSIL CORPORATION is an American company founded in 1999 which specializes in the development of high technoloies for the production of semiconductor devices, microprocessors, power supplies for computers, video decoders and encoders, transceivers with guaranteed accuracy and data integrity. The company also develops radiation resistant analog and power ICs for military and commercial applications, as well as precision analog components with applications in industry, mobile communications, automotive, aerospace and others. INTERSIL produces data converters, light-sensitive sensors, filters, optoelectronic components, sensors and other interface products. INTERSIL Corporation is a major supplier of military and aerospace devices, so their products meet the highest and most strict standards for quality, reliability and long life. 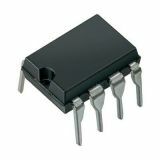 INTERSIL Corporation is based on guiding principles that reflect a strong sense of commitment of the company to its customers and their intention to be part of the next 50 years of semiconductor innovation. Operational Amplifier 1 channel, DIP8, 5-16V, CA3130EZ Operational amplifier model CA3130EZ, DIP8, supply voltage from 5 to 16 VDC, operating temperature from -50 to +125 °C. 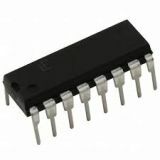 Operational amplifier DIP8, 36V, CA3140 Operational amplifier model CA3140, DIP8, supply voltage 36 VDC, operating temperature from -55 to +125 °C. 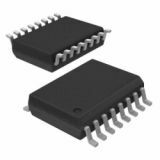 Integrated circuit ICL7107, 3 1/2 digit A/D converters, seven-segment decoders, clock, LED display Integrated Circuit ICL7107-consists of A/D (Analog-to-Digital) converters with 3 1/2 digits; included are seven segment decoders, display drivers, clock. Directly drives LED display. 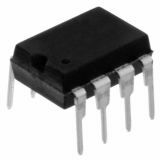 IC CA3162E, A/D Converters for 3-Digit Display DIP16 Integrated Circuit CA3162E, A/D Converters for 3-Digit Display DIP16.